New Yorkers warned 'get ready' for Sandy Jump to media player The east coast of the United States is bracing itself for Sandy, the storm that killed more than 40 people in the Caribbean. 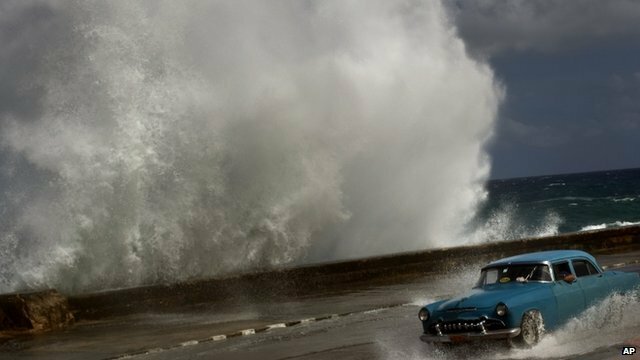 Hurricane Sandy bears down on US Jump to media player Hurricane Sandy has swept north over the Bahamas towards the US, having reportedly killed some 20 people as it tore through Cuba, Haiti and Jamaica. 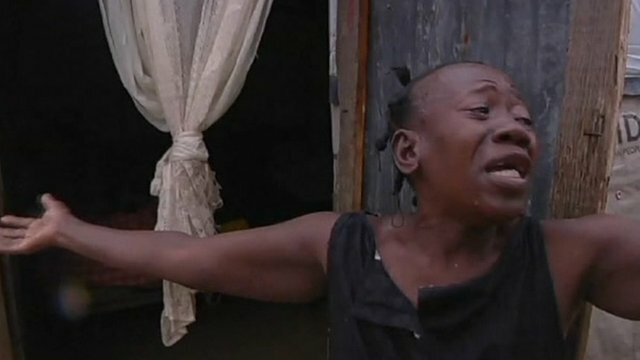 Bahamas are pounded by hurricane Jump to media player Hurricane Sandy has pounded the Bahamas with battering winds and rain on Friday, sweeping over the island chain after killing 21 people across the Caribbean. Hurricane is dubbed 'Frankenstorm' Jump to media player Hurricane Sandy could merge with a winter storm to create what has been dubbed "Frankenstorm" in the US, forecasters have warned. 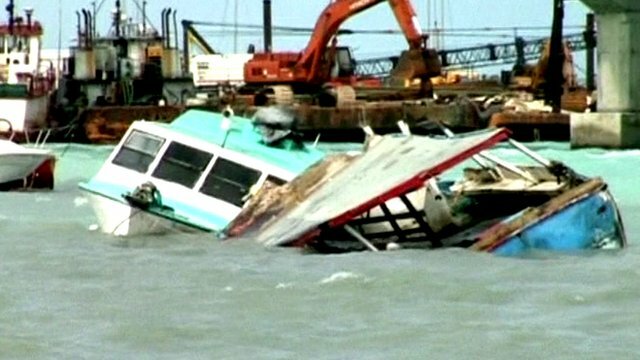 Hurricane Sandy death toll in Cuba rises Jump to media player Hurricane Sandy has claimed several lives in Cuba and left a trail of destruction in its wake in Jamaica and in Haiti. 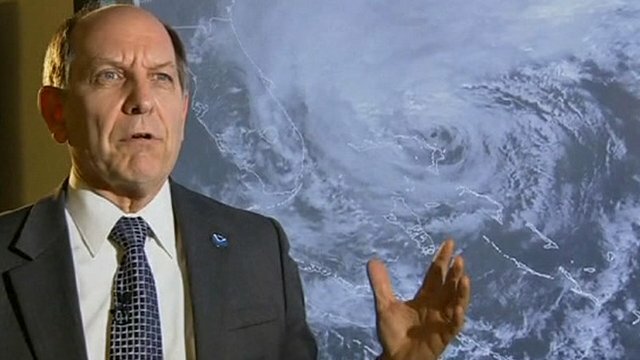 'It's becoming a very large storm' Jump to media player Dr Louis Uccellini of the National Center for Environmental Prediction speaks of his concern at the gathering size of Hurricane Sandy, which is projected to hit the US late on Monday. 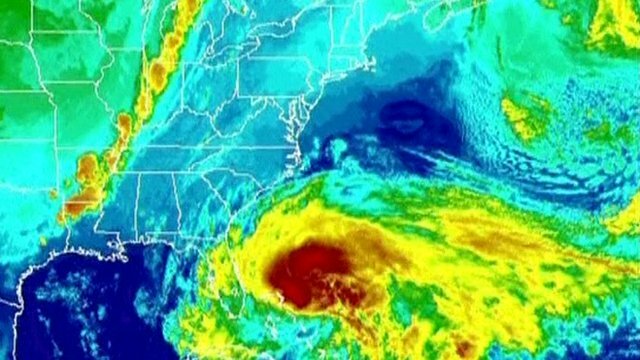 The east coast of the United States is bracing itself for Sandy, the storm that killed more than 40 people in the Caribbean. Sandy combines elements of a tropical cyclone and a winter storm. A number of states, including New York and Pennsylvania, have declared a state of emergency and have urged residents to stock up with food and water. 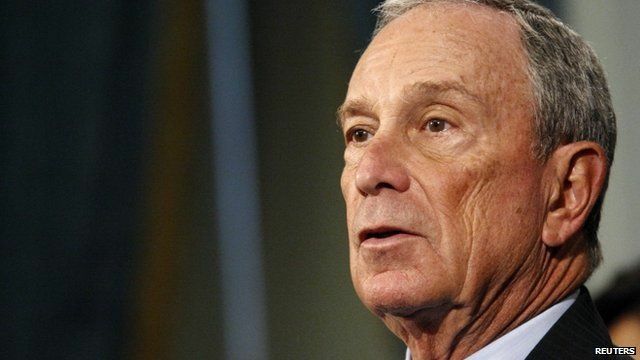 New York City Mayor Michael Bloomberg said nobody really knew what the storm will do next.